After the armies of the Eight-Nation Alliance occupied Beijing, the collapse of the Qing Dynasty is imminent. Wong Fei-hung and his companions return to Foshan in southern China and prepare to move to Hong Kong (then a British colony). In the meantime, Wong Fei-hung develops a love triangle with his romantic interests 13th Aunt and 14th Aunt. I love the Once Upon A Time In China series but this one was just a mess. Tsui Hark did return as the director to this movie but man this was not that good. Vincent Zhao is an underrated martial arts actor but they didn't use him for that here. Most of the time they just used guns to shoot each other and not martial arts but there is just too much guns in a martial arts film I didn't like that at all. The story is kind of hard to understand. 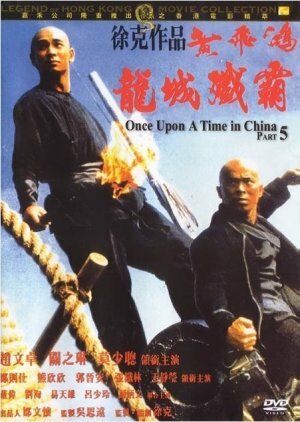 Its mostly Wong Fei Hung and his 4 students have to save the town from pirates. 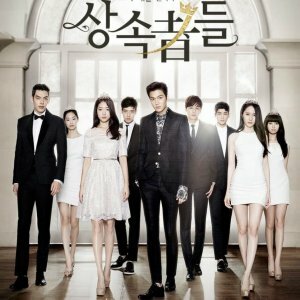 The Cast looked good but wasn't used to its potential. I'm sure they could of thought of a different plot to do with this movie. The romance between Vincent Zhao and Rosamund Kwan has no chemistry. When your main actor Jet Li leaves the series and you continue it with a different actor that is a tough job. Vincent Zhao did fill in with the fight scenes but him to fill in for the romance part just didn't work out at all. The Music was missing. The intros in the series are always good but in here it wasn't. It is Wong teaching his students martial arts but with a weird instrumental music. They barely used the Wong Fei Hung theme. The only good music in here was that they used the Jackie Chan version of singing the Once Upon A Time In China song at the end. Re-watch: I don't recommend to rewatch it but sometimes I do for the laughter.